Amphibious automobiles aren’t new, having occupied a strange stage between a road-going vehicle and a seaworthy vessel set on conquering the ocean blue. It’s an unnecessary stage, though. A novelty of a bygone era where cute quirkiness supplanted practicality. However, a novelty it is still today. The weird is now lovingly coddled just because it’s strange. For some, though, an amphibious car is more than a novelty. Take, for example, the 1996 Chevrolet 1500 pickup truck in the video above. It’s for sale on Craigslist, reported on at The Drive. However, it’s not what it seems. On the surface, yes, this 1996 Chevrolet pickup is a boat truck. Or is it a truck boat? Semantics aside, we know what it’s not—a truck. Unlike other seafaring automobiles, this one isn’t amphibious, contrary to its appearance. Think of it more like a dolphin than a turtle. The truck is incapable of driving on land, which diminishes its cute quirkiness. Instead, it’s the body of a 1996 Chevrolet 1500 pickup fabricated onto a 14-and-a-half foot Glastron Fiberglass Boat. It’s a boat in a truck costume. Power comes from a 115-horsepower Mercury outboard engine with power trim and tilt. 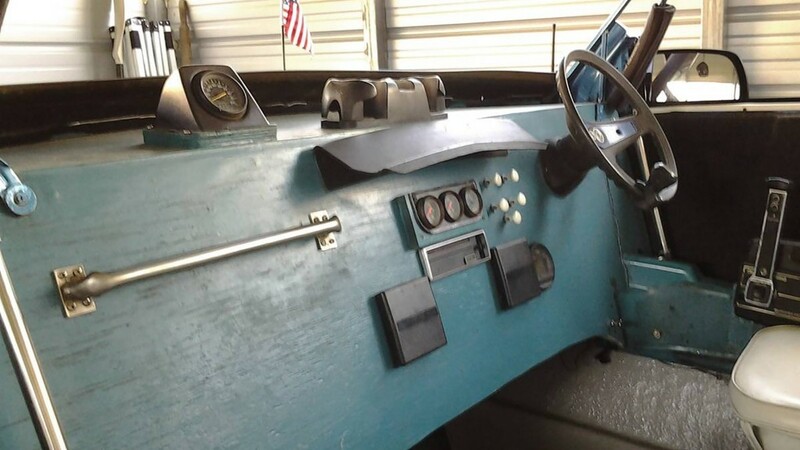 It’s fitted with 33-inch Super Swamp tires wrapped around aluminum rims to give the Chevrolet boat creation its proper pickup appearance, Yes, the wheels spin when in the water, according to the listing. Even the doors open. It seats four, comfortably, though you’ll have to rely on the veracity of the ad. Shade comes from a custom Bimini top. The boat sports all the necessary and required lighting with working headlights, too. A local fabricator built the boat in 2015. Since then, it appears to have lived in Massachusetts, turning heads in local waterways. It’s an odd creation with a steep price of $9,900. That’s a lot of cash for a boat that looks like a truck. Then again, we live in a time when we embrace the weird.